Any cheap houseboat rentals Arizona or Lake Havasu? 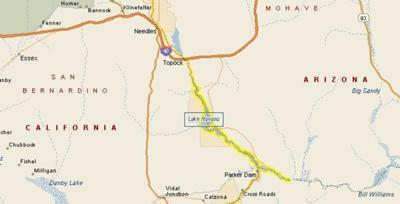 Any good priced houseboat rentals in Arizona, Lake Havasu? Is there any reasonably priced houseboat rentals, Arizona or around lake Havasu that would be good for a family of four? It would be for about 1 week, and we would want a 3 bedroom model minimum. We would take any last minute deals if it makes it any cheaper. Well Terence, congratulations on your decision to find a houseboat rental for a week holiday. If you're looking to rent a houseboat in Arizona, Lake Havasu is definitely a great choice. To start looking for reasonably priced places to rent, go have a look at our Arizona Houseboat page, and there are some names of marinas and resorts where to start checking prices. If you end up renting one, do take some pictures and come back and share your families houseboat rental experiences with us all. Lastly, hopefully some of our readers will share and post comments about their Arizona houseboat rental experiences. Feel free to use the "Click here to post comments." link found at the bottom of this page.